NEW arrangements for recreational and charter fishing have come into force in the Two Rocks marine park. According to a public notice published in The West Australian on Saturday, July 20 recreational fishing can be enjoyed in most areas of the Two Rocks and Perth Canyon marine parks but there are new national park zones where recreational and charter fishing are no longer allowed. The public notice says national park zones are no-take zones which have been established in commonwealth waters to protect the marine environments in the area. The public notice published on July 20 said in the areas of the Two Rocks and Perth Canyon where recreational and charter fishing activities can continue, Western Australian statewide recreational fishing rules apply, including species, bag and size limits, seasonal closures, gear restrictions and licence requirements. Australian marine parks are located in commonwealth waters, three to 2000 nautical miles from the coastline beyond state water boundaries and are managed by Parks Australia. A new management plan took effect on July 1 for all Australian Marine Parks in the south-west network including Two Rocks and Perth Canyon marine parks. Commercial charter fishing in other areas of Two Rocks and Perth Canyon marine parks requires approval from the director of National Parks. 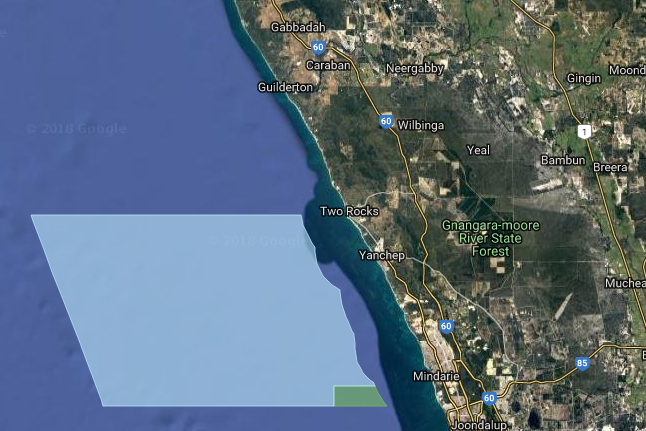 According to the Parks Australia website the Swan River traditional owners have responsibilities for sea country in the park. The Two Rocks marine park, which extends from Two Rock in the north to south of Mindarie, has west-coast inshore lagoons and shallow waters teeming with colourful sponges, molluscs, crustaceans and fish. The lagoons provide habitat for young western rock lobsters, a crucial part of the marine food web and an important species for recreational and commercial fishers. “The diving in the park is astonishing,’’ the website said. West-coast inshore lagoons are part of the Two Rocks marine park. The lagoons run parallel to the coast, out to about 5km to 10km and are protected on the ocean side by limestone barrier reefs. The light-filled shallow waters of the lagoons support an abundance of seaweeds, seagrasses and marine animals. The lagoons are key areas for species valued by recreational and commercial fishers, including western rock lobsters, dhufish and pink snapper. For more information and detailed maps of the location of the new national park (green) zones visit parksaustralia.gov.au/tworocks and parksaustralia.gov.au/perthcanyon or call 1800 069 352. Next articleNew marketing ideas needed for honey products.